We asked Ed and Nora to design the renovation of our cottage in Balmain in late 2016. They listened and understood what we wanted and added in suggestions that added so much and made the process so easy. The bought the contemporary skills and knowledge to the party and we ended up with an outstanding design which we loved. Halfway through the design phase we found out that we were to relocate to the UK, we wanted to continue with renovation and Ed put on a Project Manager hat and managed the process from start to finish, tendering the work through council approvals, engineering difficulties, the build, defects, right up to lock up and completion. Nora was great at the interior design phase of the process helping with colours, fixtures and fittings and widow coverings - amazing taste! They were both so responsive, caring and helpful through what could have been a very stressful situation on the other side of the world! We could not have put our faith in such a more amazing couple and we would have no hesitation in recommending them to anyone!! Dieppe design allowed my husband and I to create the house of our dreams. Dieppe design is all about elegance and timeless feel. Ed demonstrated great patience, understanding care and professionalism throughout the project, and we are very grateful to have been able to work with him. We used Dieppe Design to completely design our new home and couldn't be happier. We found the perfect mix of knowledge, expertise, imagination, passion and communication which lead to a sensational result. Ed has a passionate and professional approach to the process, and took the time to understand and fully deliver on our brief. From a design perspective our site contains lots of challenges, all of which were extremely well addressed. The resulting design has garnered lots of 'wow' type comments from those who have seen it. Working with Ed is an absolute pleasure, and you'd be hard pressed to find someone more dedicated and easy to work with. We are all too happy to highly recommend Dieppe Design. We couldn't be happier with the architectural and design services given to us by Dieppe Design. Both Ed and Nora listened so carefully to what we wanted - they nailed everything we asked of them and helped us understand the process. Expectations were well managed and we are so very happy with our renovated house! They came along to see how the build was going several times - something that they did not have to do and they only did so because they care about their work so much. Would recommend Dieppe Design to anyone. We engaged Dieppe Design to help us transfer a very old looking three bedrooms townhouse to our dream house. We have no clue when we first buy this house, the internal structure is not good, kitchen and living ares are small, upper level is little bit crowed...We did lots of research and finally met Ed and Nora, thanks god! They are perfect for our job, Ed changes the internal structure and made lots of conversation with us to make sure we are happy. The drawings he did is PERFECT! He pays lots of attention to details and he also explain to our builder how to do it when the job started. He is very patient and professional and handsome guy~~~ Nora is taking in charge of our interior design, she is amazing! She knows what I like and she can find everything I like either, the tile, the wallpaper, the flooring....everything! She is really care of the quality feel and also can save you a lot by recommending some very good suppliers both in term of price and quality. We are very satisfied their work and will recommend them to our friends. I highly recommend husband and wife team, Ed and Nora from Dieppe Design. Ed fine tuned our plans and completed detailed drawings so the construction of our house ran smoothly for the builder/my husband. Nora helped me with the entire colour scheme and finishes for the house I had so many questions at all hours, but nothing was a problem. Our house is all done and everything looks so great! 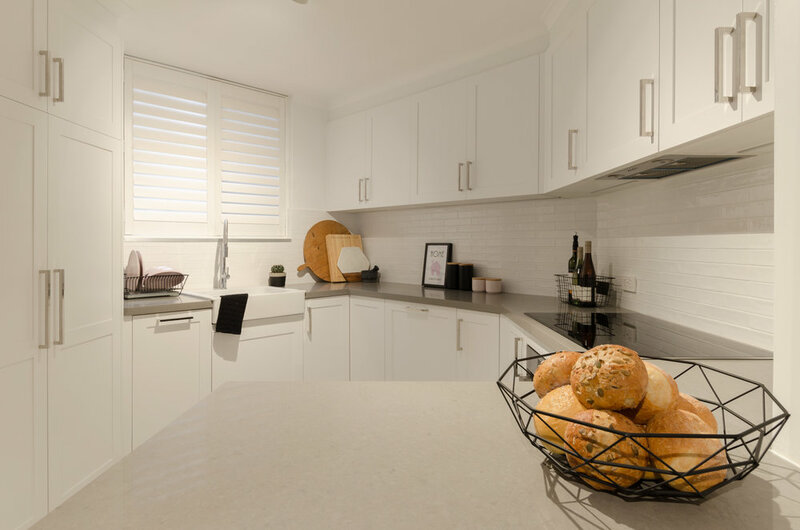 We've used Dieppe Design for two renovation projects - a two bedroom unit that needed a total overhaul and a small 1940s house that needed more space and updating and we couldn't be happier on both occasions. Dieppe Designs presented us with modern, efficient concepts that were flexible to our needs and budget. The work was done in an excellent timeframe and communication with our builders and council was seamless. Dieppe Design were great! We hired them to design & manage our complete kitchen renovation. Nora worked to our design brief perfectly & we are thrilled with the result. Ed was very professional & knowledgeable & very good at explaining drawings & processes in layman's terms for us first time renovators to understand! They both went above & beyond to ensure we were happy with the progress & outcome. We highly recommend this fab team. I can't recommend Ed and Nora's creativity, skill and professionalism enough. They turned our 2 bedroom unit in need of desperate updating into a very stylish, functional and unique pad. We can't wait to engage them both again for our next home renovation in the very near future and would highly recommend their services. I can't thank you guys enough for all of your hard work, creative vision and dedication to help make a little idea into a big ,wonderful reality! You are both so professional and so lovely and friendly. a joy to work with. I felt totally comfortable letting you both take charge to bring my space to life. i love your style, your ideas are exciting and your enthusiasm is infectious.